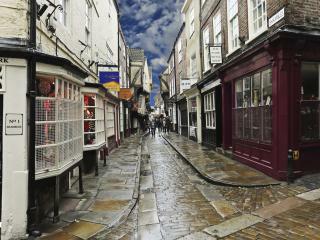 There are enough medieval churches, heritage buildings and other attractions in York to keep you occupied for a week. For those with limited time available, the following monuments and sights should be on your “must-see” list. 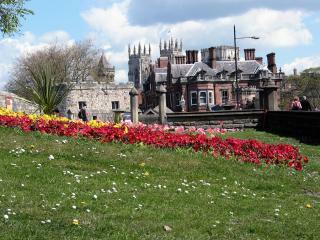 Seat of the Archbishop of York, York Minister is Britain's largest Gothic building. In its earliest incarnation the Minster was probably the wooden chapel used to baptize King Edwin of Northumbria in 627. Centuries of invasion and fire damage ensured the Cathedral’s continual evolution. Home to countless treasures, the standout feature is the magnificent 15th century East Window, the world's largest area of medieval stained glass in a single window. One of the premier stately homes of England, Castle Howard is a baroque masterpiece, conceived by Charles Howard, the 3rd Earl of Carlisle, and executed in the late 17th century by Sir John Vanbrugh. A short drive from York brings you to a long avenue leading to the gates of Castle Howard. The house is surrounded by extensive parkland and formal gardens, where peacocks roam. It remains the private residence of the Howard family. The Jorvik Viking Centre is an award-winning museum that re-creates in vivid detail the sights, smells, sounds, and flavour of daily life in the tumultuous world of 10th century York. On this site the York Archaeological Trust discovered perfectly preserved remains of Viking York (Jorvik) encased in wet mud. The centre re-creates this world through a series of tableaux depicting markets, shops, street scenes and other aspects of daily life. Despite the rich architectural heritage elsewhere in the city, there's precious little left of York Castle, one of two established by William the Conqueror. Only the perilously leaning Clifford's Tower remains, as evocative a piece of military engineering as you could wish for: a stark and isolated stone keep built on one of William's mottes between 1245 and 1262. 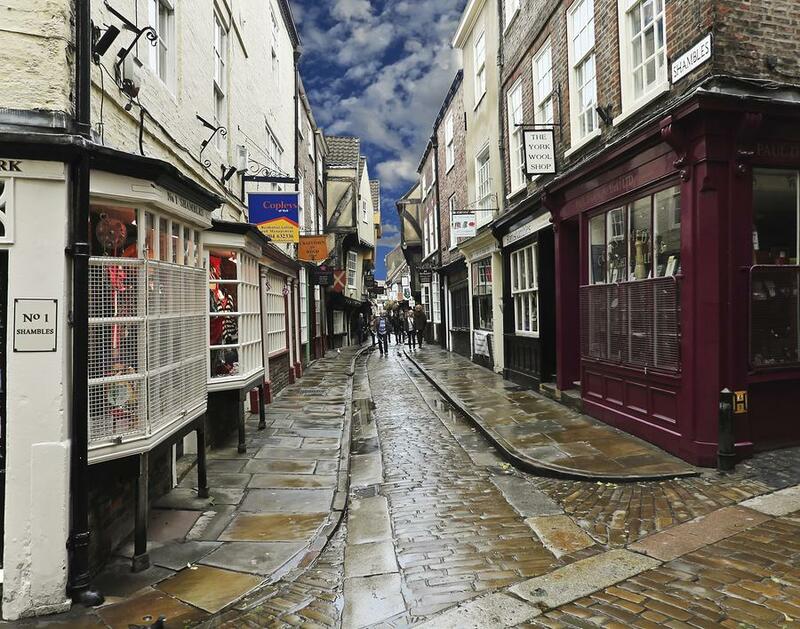 The Shambles is often called Europe's best preserved medieval street, although the name collectively refers to the surrounding maze of narrow, twisting lanes and alleys. The street itself is mentioned in the Domesday Book – which means that it’s been in continuous existence for over 900 years. A short detour from The Shambles leads to York's shortest and most unforgettably named street, "Whip-ma-whop-ma-gate". The National Railway Museum is Britain's largest collection of historic railway material and includes locomotives dating as far back as 1829. The collection began when British Railways inherited the collections of previous railway companies in 1948. This museum is a must if you are interested in railways, history, engineering or Victoriana. Don't leave York without taking a walk on the city walls. First erected by the Roman legions, the city’s superb restored walls date mainly from the 14th century. Along the walls you can visit the medieval gateways (or “bars”) to the city. Monk Bar at the northern end of Goodramgate is the tallest of the city's four main gates and a good place to start your walk. It also hosts a small Richard III Museum. If time permits, you can visit the 600 year-old restored Guildhall, and the 18th century Georgian Mansion House in St Helen's Square. Although the latter is the private home of the city's mayor, it is open to guided tours by prior arrangement.